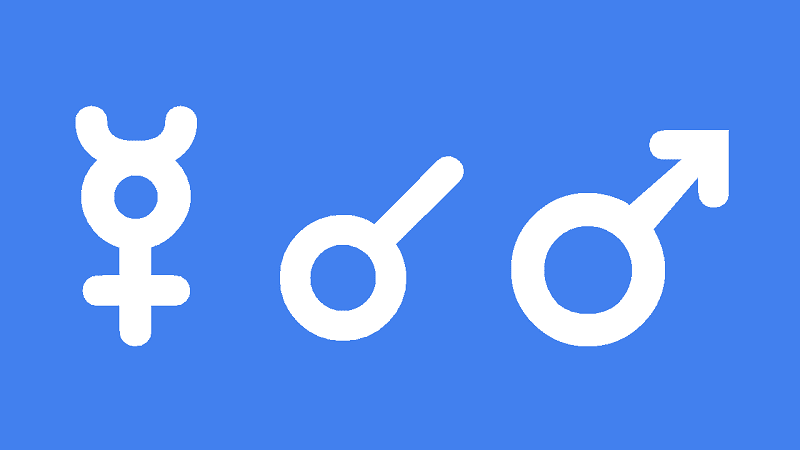 Mercury conjunct Mars in the natal chart gives a quick mind, rapid reflexes and a sharp tongue. These attributes are ideal for making quick decisions in the heat of the moment while others hesitate. Excellent debating skills allow you to stand up not only for yourself but for the rights of others. Your direct and courageous way of expressing yourself can win you admiration in fields such as politics, business and the military. However, in more personal relationships and your social life, this direct means of communication can lead to arguments and hostility. They key to managing this potent aspect is to control the impulsive and aggressive side of Mars. Even in your professional life, forming harmonious relations will require some moderation of your naturally defensive attitude. You will often know you are right, but for the sake of peace, you must allow others to share their opinions even if they appear wrong to you. It is in your more intimate relationships that this tendency for getting into arguments poses the greatest problems. Friends and family may feel treated by your mannerisms and communication style, even when you feel you are in a calm state. You can use your acute intellect to recognize when you elicit defensive or hostile reactions in others. The resulting increase in self-awareness will enable you to moderate your approach when your fighting skills are not required. Transiting Mercury conjunct Mars increases mental activity, making this an ideal time for focused and acute thinking. Your piercing intellect can also be put to good use in arguing your case and defending others against harassment or provocation. There will be an aggressive or defensive nature to your thinking at this time. This, together with an extremely rapid response time, means there is a greater potential now for getting in arguments, losing your temper and being unnecessarily rude or abusive. These attributes are fine when in a fight, but no so helpful in social settings or between partners. The key to handling this potentially provocative energy comes by gaining self-awareness of the buildup of nervous and impulsive energy. If you have no worthy cause to fight for, then apply this energy to mental work such as studies or investigations. Even doing a crossword would release the buildup or irritation and anger. Without using up this energy in a good debate or solving puzzles, you may encounter hostility in others. This could come in the form of threats, abuse or intimidation. You should not back down from a fight but should choose your battles carefully. Remember, this transit gives a tendency toward acting before thinking. Wolfgang Borchert 05′, King Louis of Spain 05′, Richard Nixon 16′, Titus Salt 22′, Alex Haley 30′, Iggy Pop 35′, Bret Easton Ellis 36′, Pauline Collins 36′, Anwar Ibrahim 42′, Samuel Adams 43′, Barbara Walters 48′, Emile Zola 49′, Mata Hari 53′, Edward M. Kennedy 58′, Queen Anne of Great Britain 1°09′, Dean Martin 1°10′, Heath Ledger 1°21′, Meryl Streep 1°28′, Billy Bean 1°33′, Justin Bieber 1°35′, James Woods 1°35′, Antonio Salieri 1°40′, Salvador Dali 1°42′, Rosie O’Donnell 1°44′, Elizabeth Barrett Browning 1°44′, Billie Holiday 1°49′ , John Ruskin 1°49′, Roy Orbison 1°52′, John Quincy 1°58′, John F. Kennedy 2°09′. I hope for strong Psychological and Psychic communications to prevent a little of those nervous/aggressive energies with the help of The LORD of Pisces who will Trine Mercury and Mars before the conjunction and Pluto opposition. Thank You for the interpretation interpretation! Very useful and protective. Jamie, this Mercury/Mars opposition Pluto would also be squaring the last Lunar Eclipse degree around 14 Libra that occurred some time ago, would it not? What more can we expect globally regarding this T-Square? And the next Solar Eclipse in September hits directly on my Midheaven at 20 Vir with the next Mercury station retrograde … at around 14 Libra. How long-lasting will the energies of this conjunction/opposition be playing out in the next few months given the next Mercury Retrograde period now that I think of it? Should we expect this July 16th transit to play into that configuration in September, in your opinion? Thanks so much Jon for noticing the lunar eclipse connection. I will add this to the post now. seriously though, thank you Jamie for this analysis, I’m already feeling this conjunction as it will be transiting my natal Mars. and yes! what an amazing synchro that New Horizons is doing it’s flyby so close to this conjunction/opposition! Again, during April Lunar eclipse(on Algorab), I was in London. That day Half of London downtown was blocked due to Gas Fire from the underground. It was impossible to get anywhere, I was stacked in traffic, and my new job interview failed. I think Nepal earthquake happened a week after April Lunar eclipse. My natal Saturn is on Sirius, and since then Pluto opposition is forcing me to change the job, but no luck. So, the evening New moon on 15th July will square Uranus, Mars/Mercury(Sirius) opposition Pluto, and Venus(Regulus) square Saturn. Complete picture is not promising, is it? This is most certainly a very important period of movement in just one persons life, the feminine Christ must be seen, known and be free to fulfil her purpose, and most importantly the high intelligent beings in space need to know if we are ready to make the journey back to the moon a reality by 2016/2017, as i can make it with the world surrendering to the truth of the knower. We have the virgin Mary, God’s Mother but you think we need a feminine Christ too? The saints are male and female and the hierarchy in the church is meant to be service and not egoism with the Pope known as the servant of the servants. He washes people’s feet at Easter like JC did. Men are supposed to sacrifice themselves for their wives up to the extent JC sacrificed himself. We are to love and serve one another and submit to one another. .
Jamie, I notice this is on the point of the august 21 eclipse, what do you make of that? My SR return on sept 4th has this, already feeling it. Will turn to researching my fave topics.